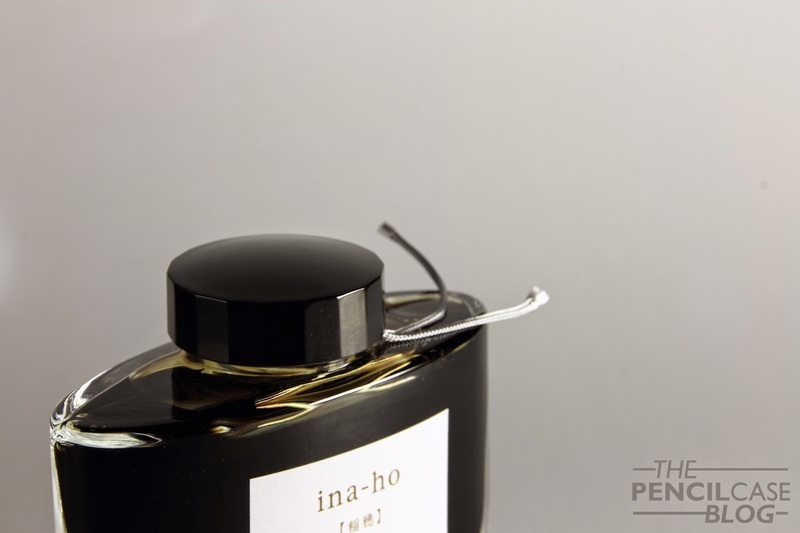 Ina-Ho is a rather light brown, almost gold-ish color. Brown-gold really is the only way I could describe it. 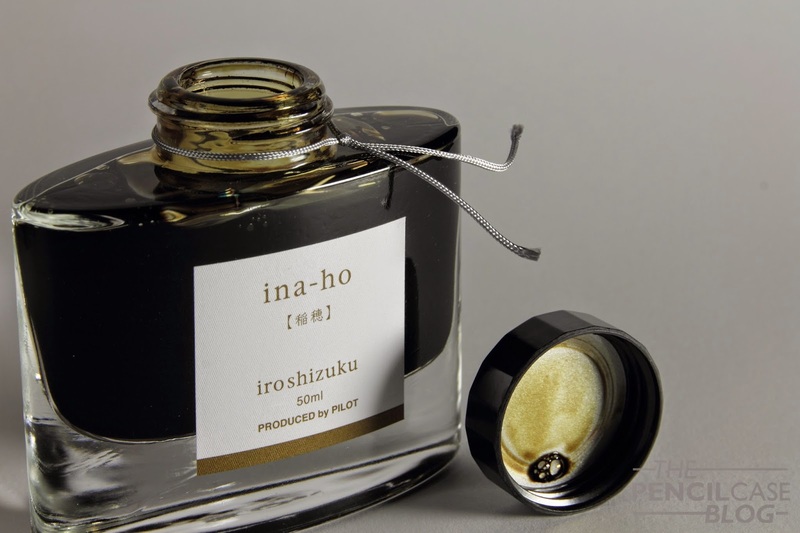 As an Iroshizuku ink, I expected nothing less than perfection, which is exactly what I got. The color is absolutely gorgeous, both bright, vivid and relatively subdued at the same time! I wrote this with my Pelikan M1000 with BB nib, which has a gusher of a nib, and I think that's where this ink belongs. I didn't try it out with a dry writer yet, but I'm guessing it would get a lot lighter, and lose part of it's appeal. This is not at all an EDC ink, I guess, except if you like your important documents to have a bit of a yellow color accent to it. It's not one I'd use for taking notes in class, that's for sure! 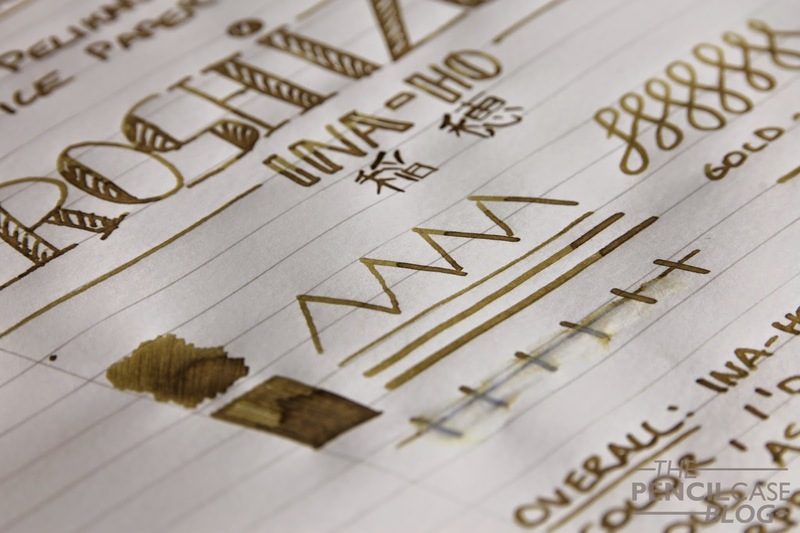 Ina-Ho has great shading properties, especially in combination with wetter nibs. It dries relatively fast, doesn't bleedthrough most decent paper, and it doesn't have the tendency to feather. 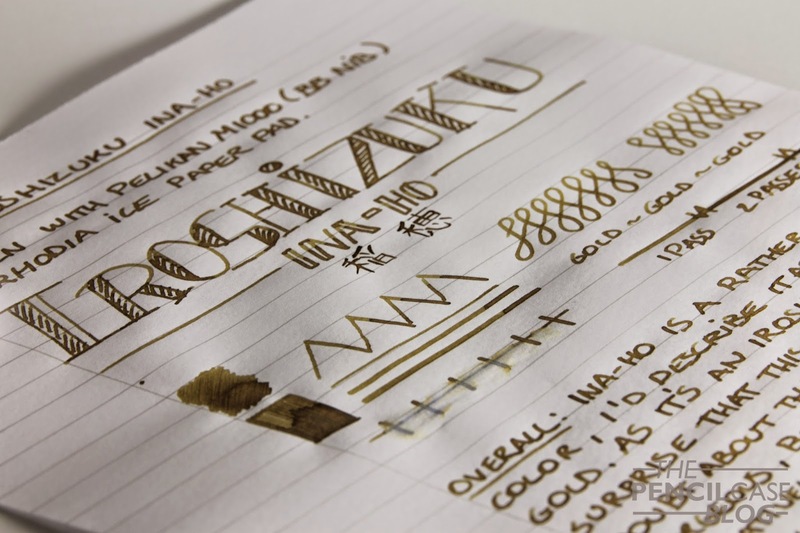 Pilot Iroshizuku ink is expensive, really expensive! 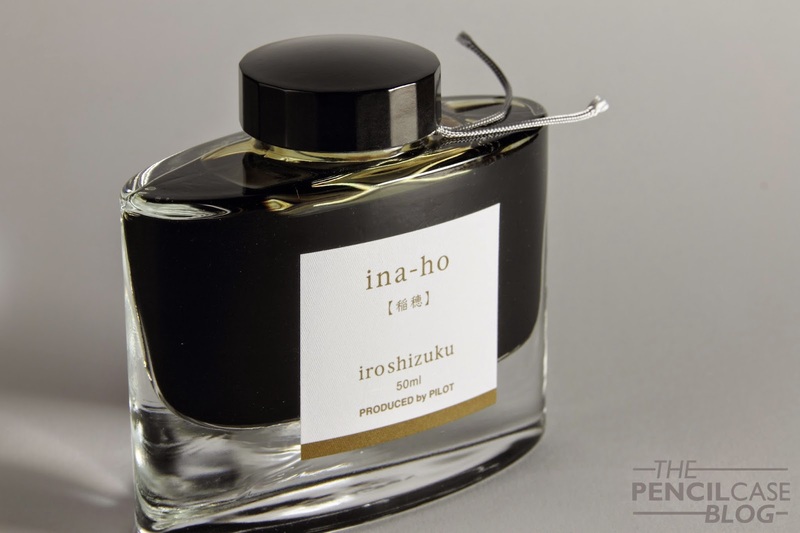 Where I live, a bottle of Iroshizuku costs about 35-40 Euros, which is ridiculous. Luckily it can be found for less, if you search around carefully. In the end, it's a matter of choosing between another pen and a bottle of this. But every now and then, I think it's well worth it! As a little extra for you, dear readers, I've made some more pen p0rn wallpapers, you can find them over HERE. DISCLAIMER: These pictures are not watermarked, personal use is fine, but please be kind and don't copy or spread them without asking me first. I'm not crazy about this color, but your writing makes it look good. 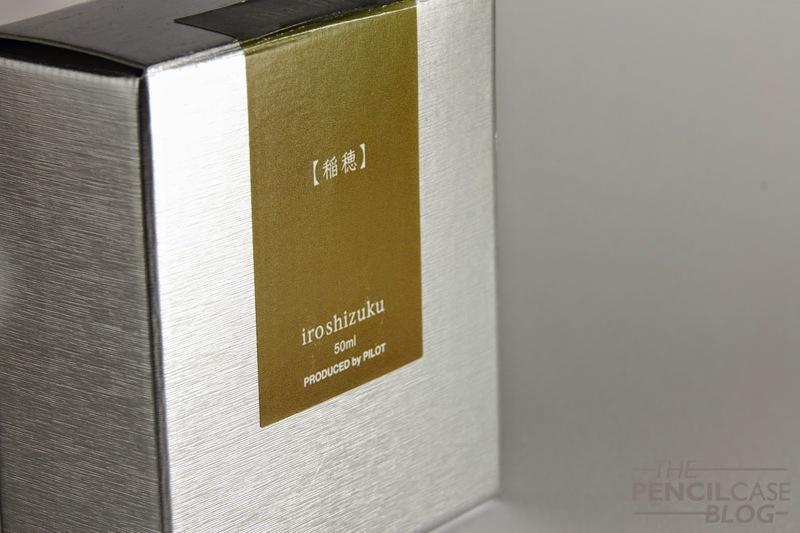 I do love Iroshizuku inks, though! Great prices at J-subculture.com, even when adding on shipping from Japan.